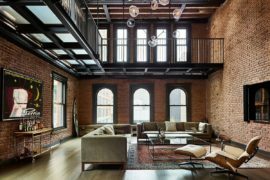 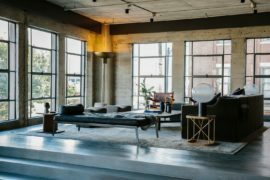 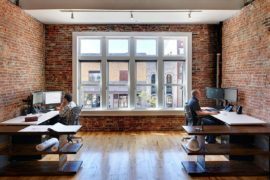 We often come across old warehouses, industrial buildings and abandoned factories being turned into gorgeous modern homes and spacious lofts. 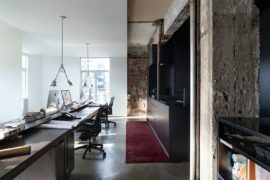 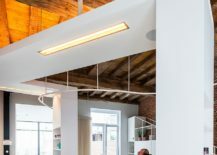 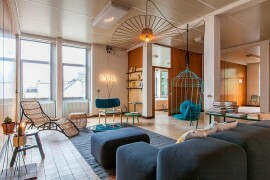 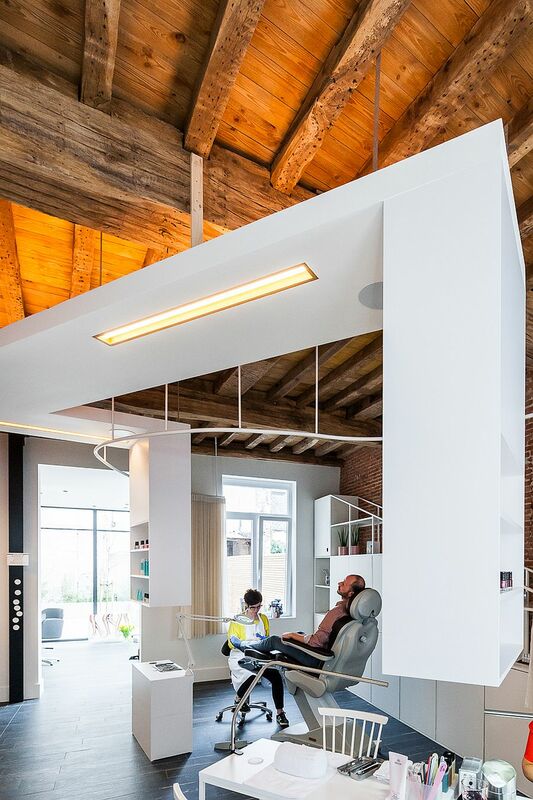 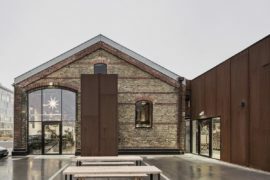 But a transformation like Blanche 49 in Mechelen, Antwerp, Belgium is far less common, both in terms of aesthetics and ergonomics. 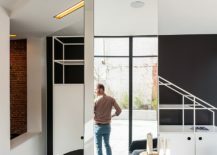 The beautiful spa and salon is nestled in an urban-industrial neighborhood of the city and perfectly epitomizes the unique charm of the neighborhood. 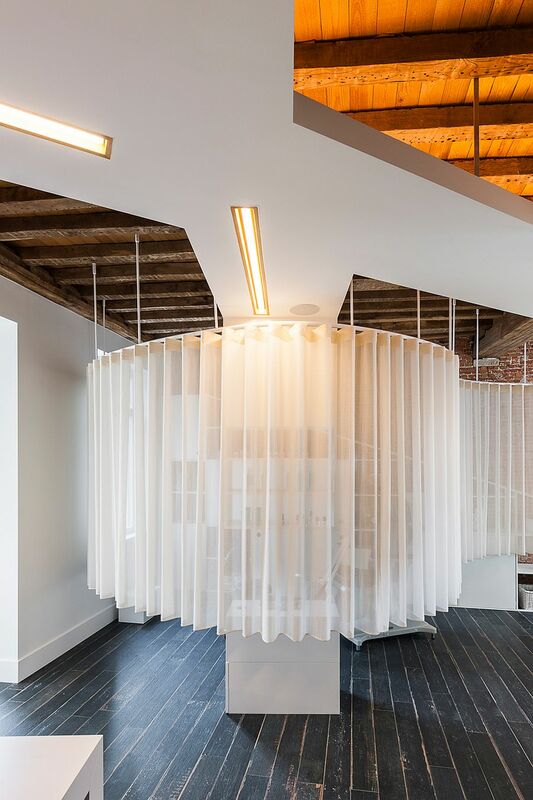 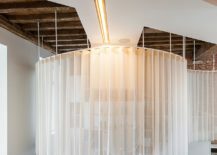 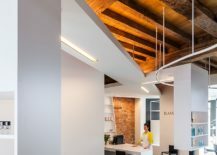 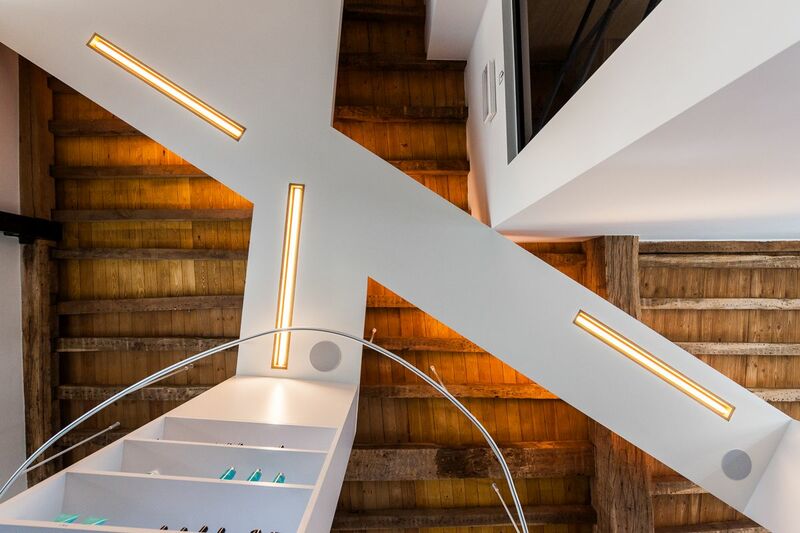 A stunning and innovative makeover conjured up and brought to life by Van Staeyen Interior Architects, the new spa is all about fluidity of design, custom décor solutions and revitalized industrial elements that create a fabulous backdrop. 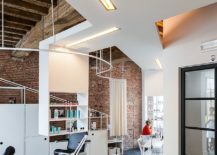 A large white ceiling construction makes up the core of the new spa and salon as it morphs into different décor pieces, shelving and even a reception desk when needed! 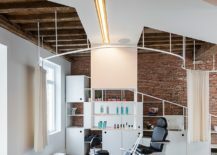 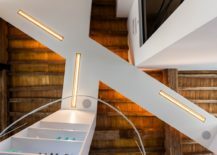 The continuous ceiling design was crafted to give the interior a modern, minimal appeal even while ensuring the new addition is as non-invasive as possible. 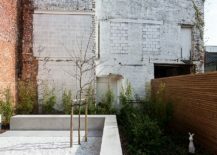 This leaves the brick wall background and the exposed, industrial elements of the original structure largely untouched. 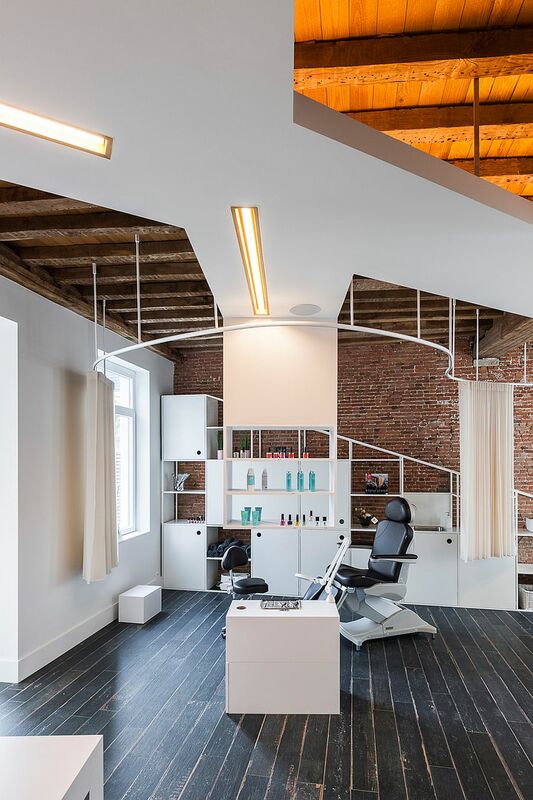 Wooden ceiling, large spaces with ample vertical room, a flood of natural light and recessed lighting with golden glint complete the relaxing and eccentric spa where every little corner delights and amazes. 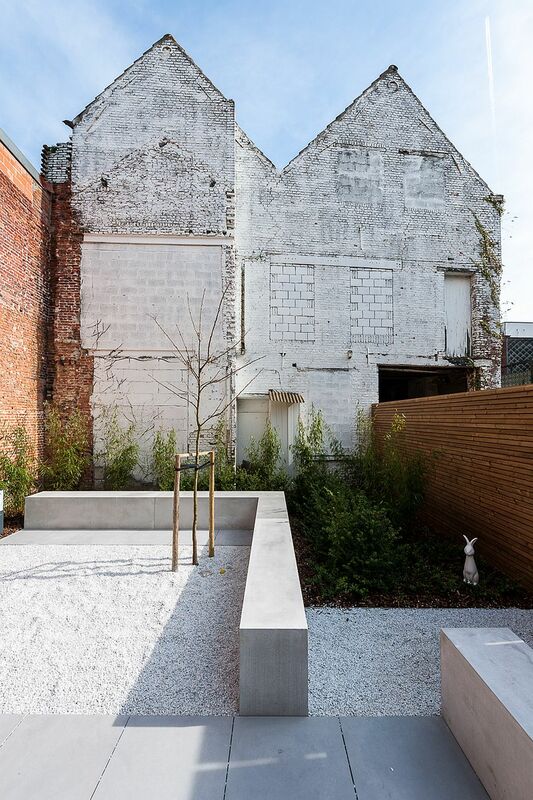 A true masterpiece in every sense of the word!